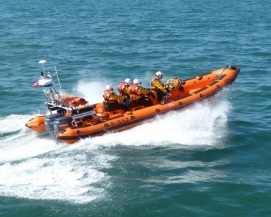 The RNLI Brighton lifeboat is hosting three drop-in events in the coming few days as it starts recruiting new crew members. 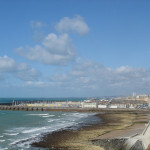 All three events are due to take place at the lifeboat station at Brighton Marina. The first event is today (Saturday 21 May) from 11am to 2pm, with the second drop-in at the same time tomorrow (Sunday 22 May). The third opportunity is on Tuesday evening (24 May) from 7pm to 9pm). 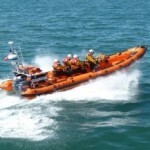 RNLI Brighton said: “Lifeboat crews come from all walks of life. Today, only one in ten of our new recruits have a professional maritime background. “Imagine for a moment that you’re part of the crew on a lifeboat. It’s 2.30am on a freezing January morning and the pager’s just woken you from a deep sleep in a snug warm bed. “You then head out to sea in complete darkness with freezing waves breaking around you. Gale force winds throw the lifeboat around like a toy. A fishing trawler is in difficulties miles out to sea. “And you want to volunteer for this? “New equipment and faster boats means that regular training programmes account for much of your spare time. “You may also be asked to help show visitors around the station and with local fundraising. Volunteers also need be team players, accepted by the rest of the crew and enjoy hard physical work. Good personal skills are a must which means getting on well with others, communicating easily – talking and listening – and obeying orders when required.